Madeline Nilon winning the girls 15 years 50m breaststroke at the 2013 Richmond River High School swimming carnival at Lismore Memorial Baths. TRINITY Lismore Swimming Club head coach Ken Malcolm believes the club may have uncovered a future Australian open-water swimming champion. 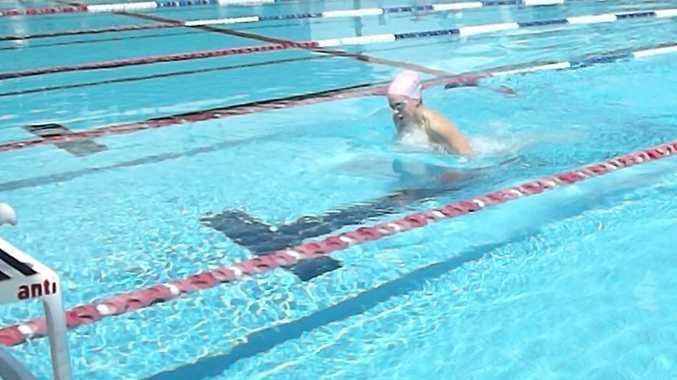 Madeline Nilon, 15, is now competing in open-water events as well as in the pool. Earlier this year she attended her first open-water swim, a 3km event, and set a record in winning easily. 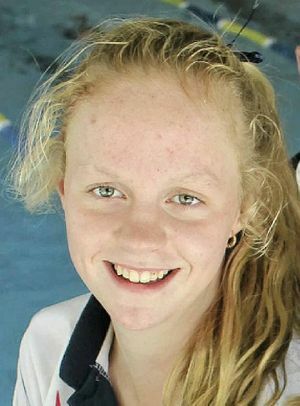 LISMORE’S GOT TALENT: Trinity Lismore Swimming Club’s Madeline Nilon, 15, is now making waves in open-water events as well as in the pool. This month she competed in the Brisbane 5km championships at Kawana Waters in her first attempt at the distance. "She swam brilliantly, competing the course in 1 hour 13 minutes to qualify for the Australian open-water championships in Geelong in February," Malcolm said. Madeline is not the only Trinity club swimmer impressing. At the Palm Beach Currumbin championships, 11-year-old Elsie Cooper smashed the North Coast 100m and 200m breaststroke records and 15-year-old Karla Gilmore broke the 200m backstroke record. Several swimmers also attended the Brisbane championships, where Madeline, Karla, Macy Jensen, Kalani Varcoe, Miranda Gilmore and Jemma Cooper qualified for the NSW state championships in various events. Not to be outdone, Elsie Cooper again broke the 200m breaststroke record. 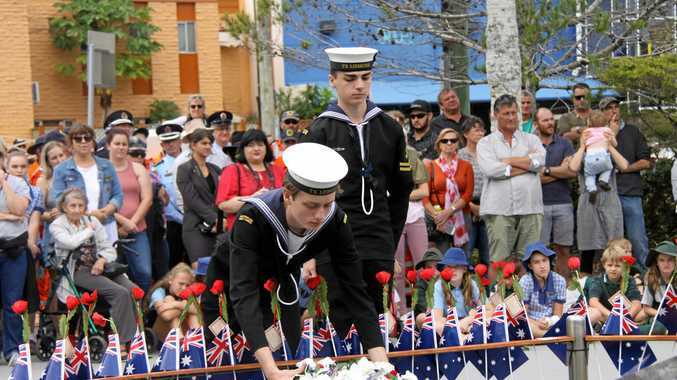 News MASSIVR crowds line Molesworth St as past and returned service personnel march alongside emergency services, school children, veterans and community groups.